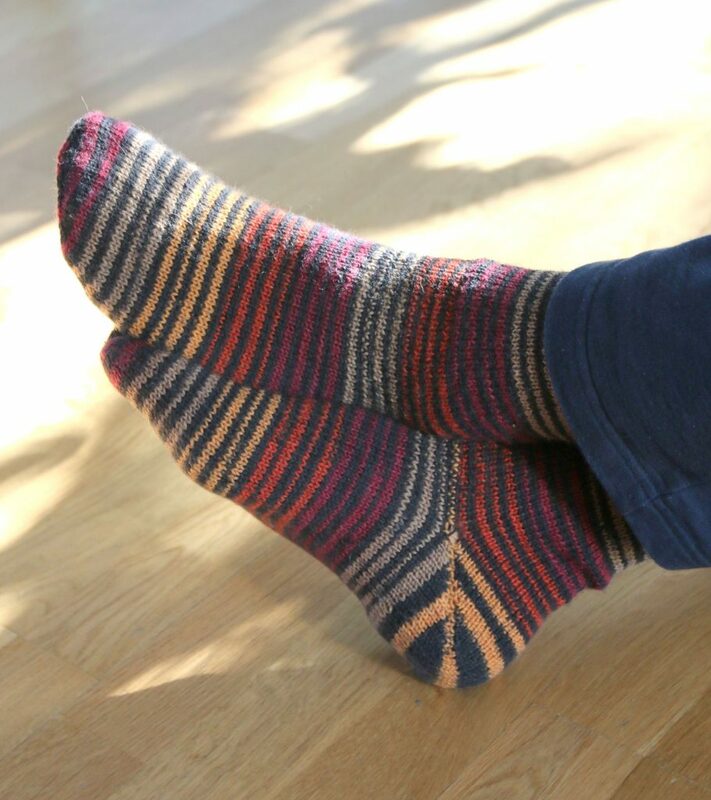 So in the last two weeks I’ve been Train-knitting a lot again and also discovered that sofa time while watching movies is also great for Vanilla-socking! 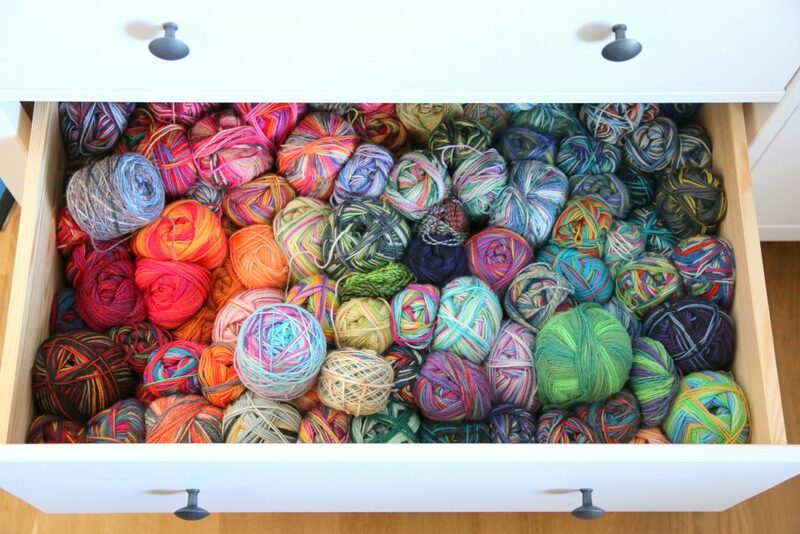 Oh dear, what am I going to do with so many socks? 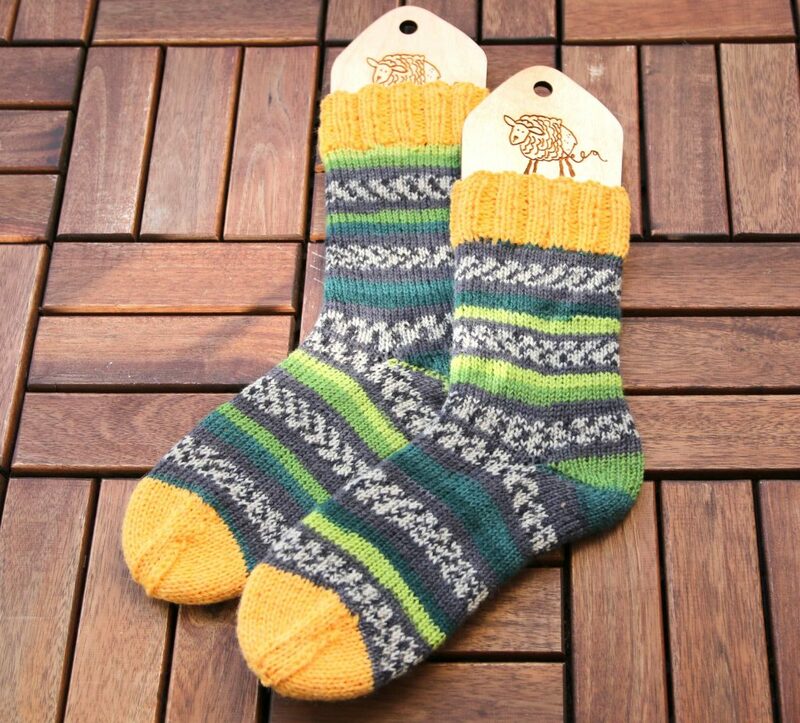 I need to find a solution to this problem, too 😛 Until I do I put the excess socks in my Etsy-shop. I guess all my family and friends are already suffering from a sock-overload (if not, please do call out now :P). Here’s what I’ve been socking so far in these last two weeks. 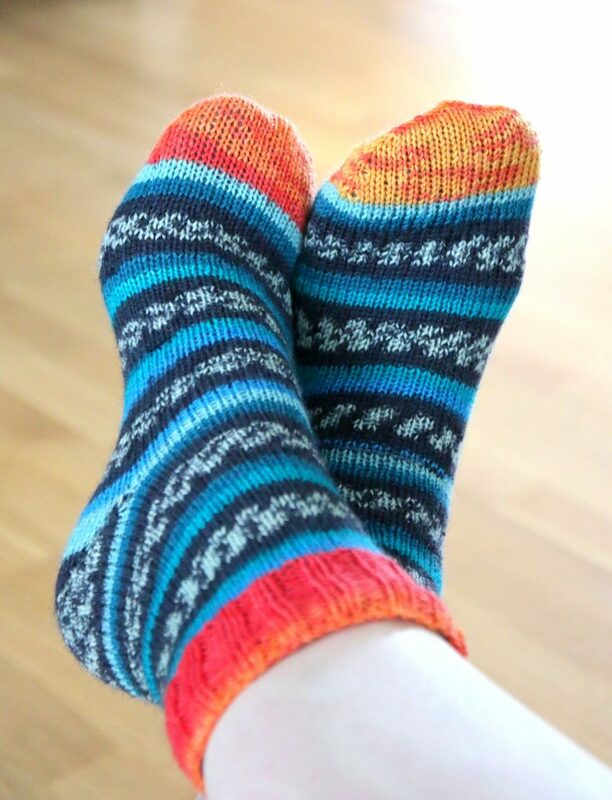 First I got this lovely Regia yarn from a friend and since 50g usually isn’t enough for a pair my size I added a bit of my own hand dyed glitz yarn for the cuff and toes. And I must say, these are defnitely my new favourite socks!! Do you love them as much as I do?? 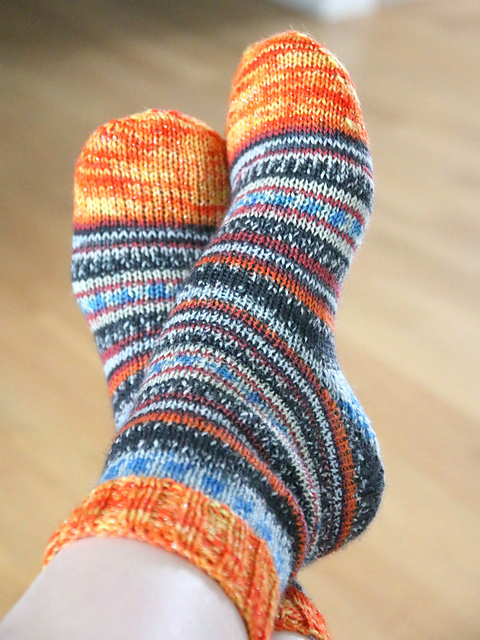 Then I thought the contrasting cuff and heel really made the yarn pop and since my stash is overflowing with half used-up balls of Sockables I had to make another pair with contrasts. And I really like this one, too! So guess what happened then. Right. I got hooked. Usually I would go for colours that match well and blend into one another, but contrasts are much more fun to work with. So why not grab two colours that pop against each other and combine them? Then all of a sudden my husband went: ‘hey, you’re on a sock roll. How about a pair for me?’ Well… that’s unusual, but if he asks that nicely, who can resist? 🙂 The only thing is… he’s a size 47… Sigh. But as a good wife I can’t refuse and also this got rid of a whole ball of Sockables, yay :)) I love it when I make two people happy at the same time! 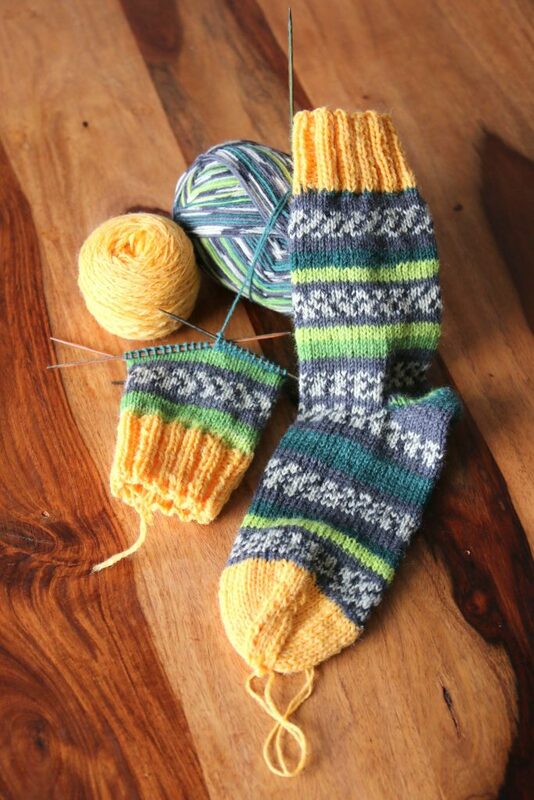 I better get back to my next pair, maybe I can crack the ten-pair-mark until next weekend 🙂 Happy knitting to you all! 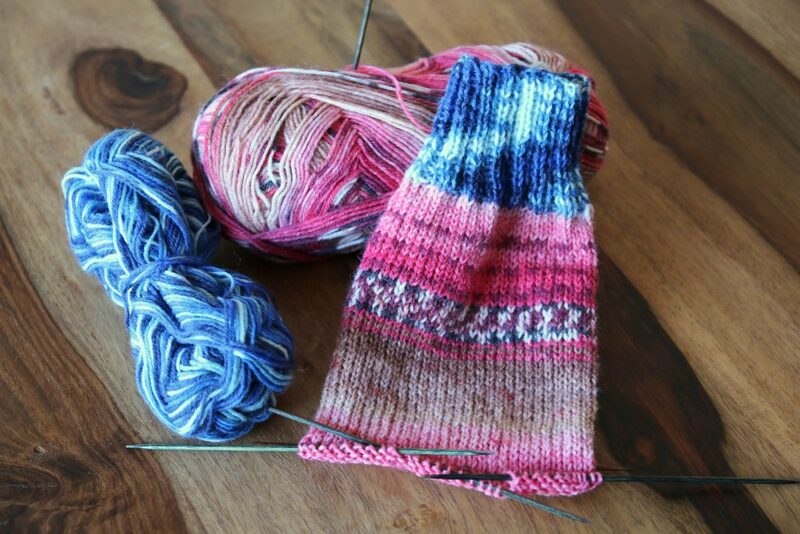 What sock pattern do you like to use? 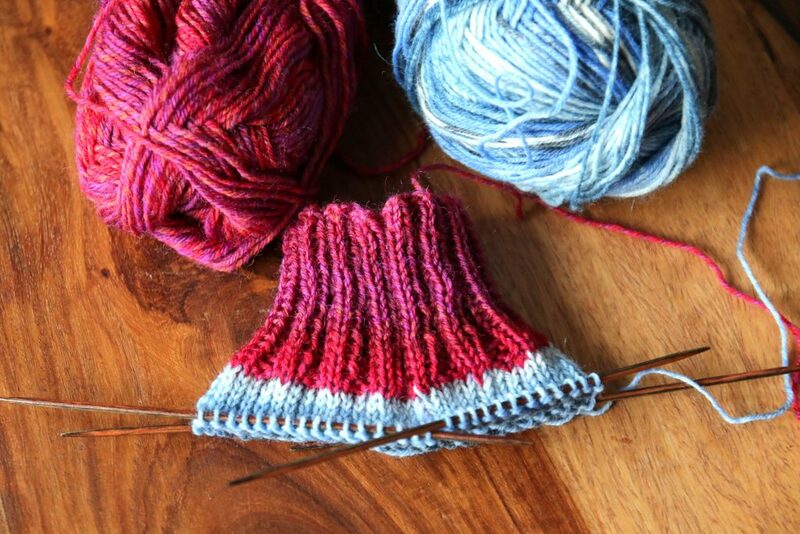 I love contrasting colours and use them for the heel, too, especially with self striping yarns. Thank you! 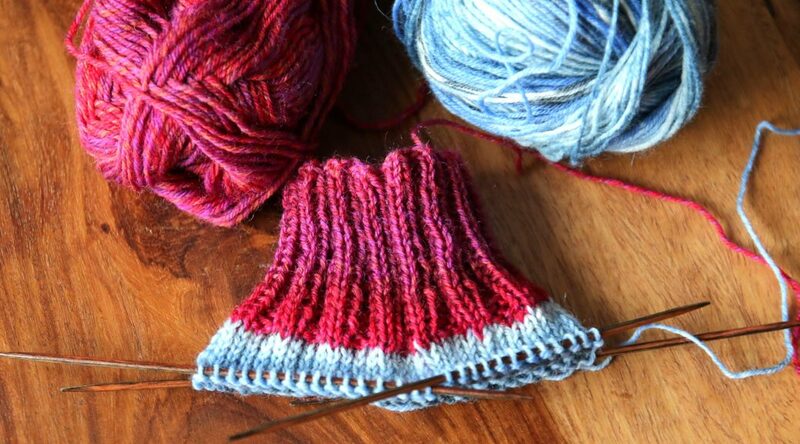 I didn’t think they would be this nice in the beginning, but I really like it, too 🙂 What are you knitting now? Right now there’s a pair with cables in red with cuffs, toes and heels in grey. Next I will try some mosaic patterns with leftovers, seems you can play a lot with contrasts there. I love leftover projects! Especially the ones going crazy on colours. 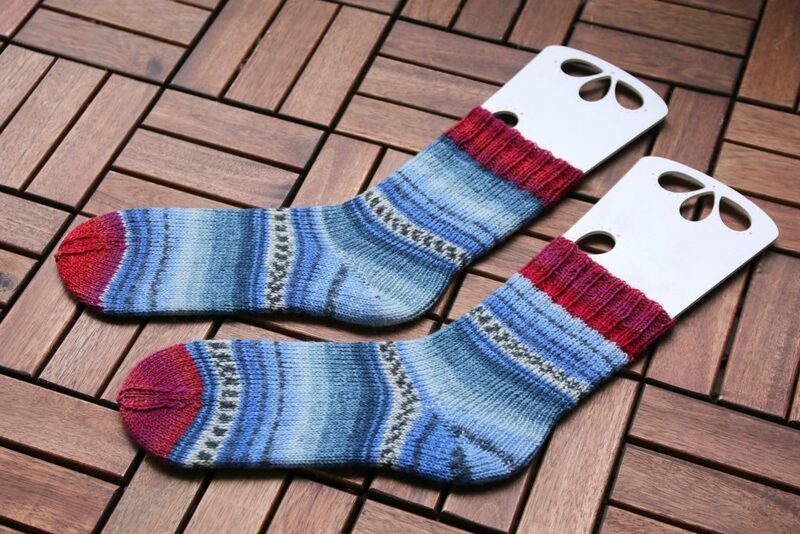 Will you be making socks? Or something completely different?